One of the most iconic fashion designers that redefine the fashion industry. A strong woman who expresses her strength and chicness through designs and quotes. 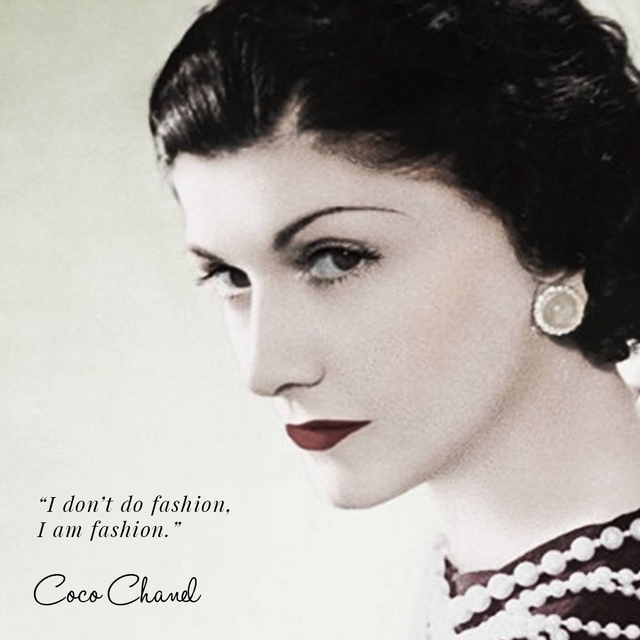 Gabrielle Bonheur Chanel – widely known as Coco Chanel, is listed in 100 most influential people of the 20th century and it marks her as the only fashion designer on the list. Looking back on the early days of her career, Coco Chanel designed hats at first and opened her boutique in Paris in 1910. Afterwards, she explored designing for clothes and then perfume. The signature Chanel No.5 is still one of the most treasured perfumes to this day. Her work ethics inspire many and that’s why we gathered 8 best quotes by Coco herself!